Over the last 3 years, I’ve grown into a major plant lady. Plants bring me so much happiness and joy and bring life to my home. Not to mention, plants are so good for the air quality in your home and I truly believe they can make your mood better. Check out this post where I share the best indoor plants for beginners. I’ve shared quite a bit of my plant journey on Instagram and sometimes I get more questions about plants than anything food and health-related. I got a bunch of plant ladies following a plant lady. I dig it. At first, I didn’t consider myself a plant expert, but guys, I’ve kept the majority of my plants alive for 3+ years. That’s a MAJOR WIN in my book. Don’t get me wrong, I’ve killed a fair share of plants, but one thing that I’ve learned is practice makes almost perfect. You literally have to practice being a plant lady before you can be a semi-successful plant lady. Yes, that means maybe killing a few plants, but you will LEARN! You will learn how to water, when to water, and how much plants make you happy. If anything, killing plants will get your booty to the greenhouse where you can ask the experts anything and everything about the plants you’re buying so that you can take the best care of them as possible. Also, chances are you’ll have to Google 101 things about plants too, which is only going to increase your knowledge about plants. 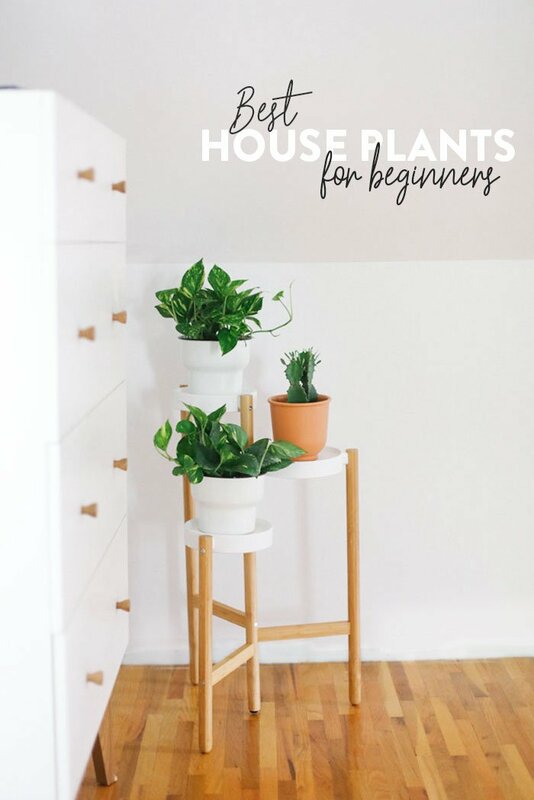 Today I wanted to share the best house plants beginners! The main question I get is: “How do I not kill my plants?” Honestly, this is a really great question. You can kill your plants by overwatering, underwatering, not giving it its preferred amount of sunlight, changing the temperature too quickly in your home, going from extremely dry to extreme humidity. There are a lot of factors in keeping your plants alive and healthy! So, with that said, here are my recommendations for the best indoor plants for newbies looking to become plant ladies. PS: most of these suggestions are low light plants or plants that don’t need sun (a lot of). Looking to buy your first indoor plant? Succulents are your girls! They are not only gorgeous but SO EASY TO KEEP ALIVE or should I say not kill? There are also a wide variety of succulent types. Succulents don’t require a lot of water at all, but they do love bright light. If your succulent begins to grow vertically, then you know it needs more light. Learn how to take care of a wide variety of succulents HERE and buy your succulents on Amazon PRIME HERE. Behind succulents, cacti are great self-sufficient houseplants for beginners! They need very little water and attention and they’re darn cute and trendy. Read how to take care of cacti HERE and buy a cactus on Amazon HERE. These vine-y, leafy beauties are such great indoor plants to add some color and texture to any room. 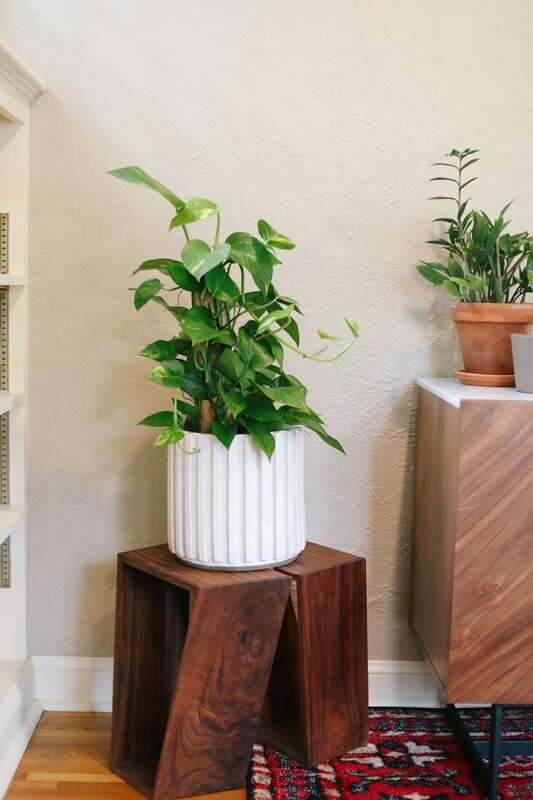 Pothos are a hearty plant that just about anyone can take care of. If they’re happy, they’ll grow and grow and grow! Pro tip: try cutting off a few of the stems when they get too long. Transfer them into a glass of water and let them grow roots in the water. Once they grow roots, transfer them to soil and BAM, you’ve got another pathos plant! HERE is how to take care of your pothos and HERE is where you can buy a pothos online. The snake plant is so great for purifying (converts CO2 to O2 at night) the air and greening up your space. Their large vertical leaves are quite gorgeous and it’s also funny that they’re called the mother in-law’s tongue because they’re sharp like a dagger. This plant doesn’t need a ton of water or light to survive. 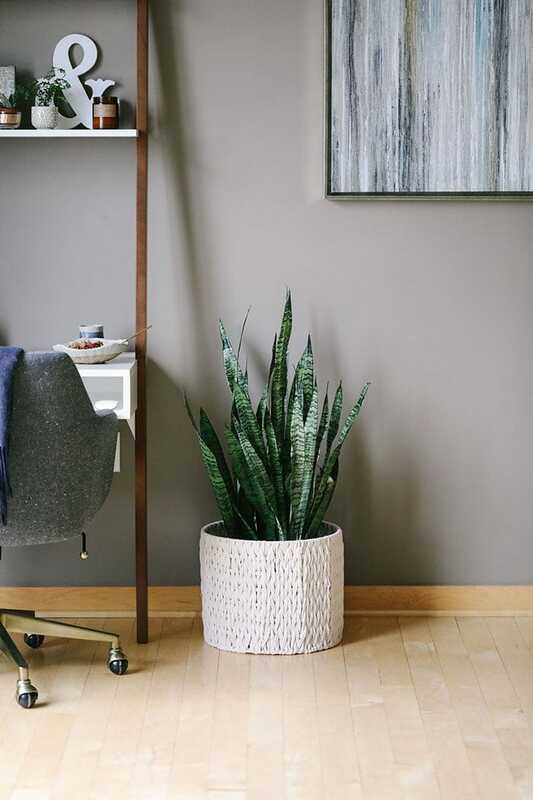 Read about the snake plant HERE and buy a snake plant online HERE. 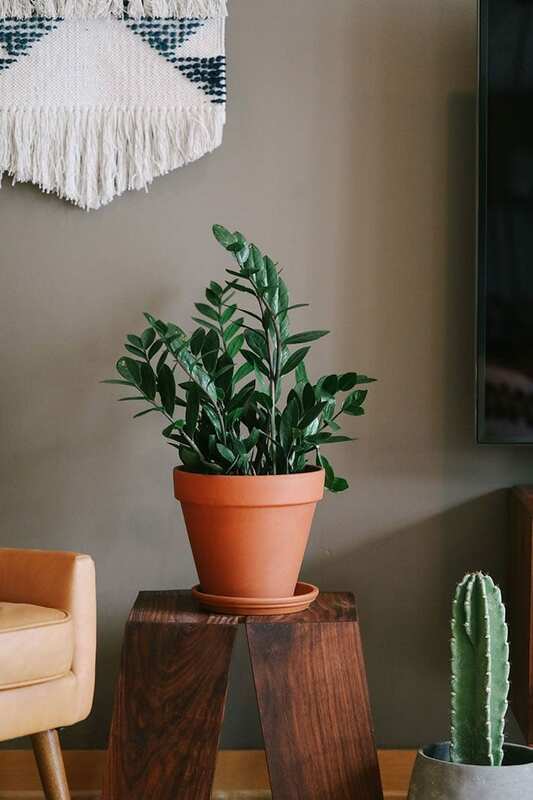 The zz plant is such a fun plant that loves lots of light. These plants like to be watered 2 times(ish) per month (or when the soil has completely dried out) and are pretty hearty and hard to kill. Make sure to not over water your zz plant or you will risk killing it. Learn more about the zz plant HERE and buy one on Amazon PRIME HERE. Ivy is one of my favorite kinds of indoor plants because of their drapey leaves and endurance. They need bright light and like when their soil dries out in between waterings. Be careful not to overwater and read up HERE on Ivy care. Oh, and you can buy some Ivy online HERE! This jade plant was literally my first ever plant I bought 3 years ago. GUYS, it’s still alive and I even bought it from Ikea! It’s done great in low light with very little water. I’ve also moved it around my house quite a bit and it’s pretty fickle, which is fantastic. 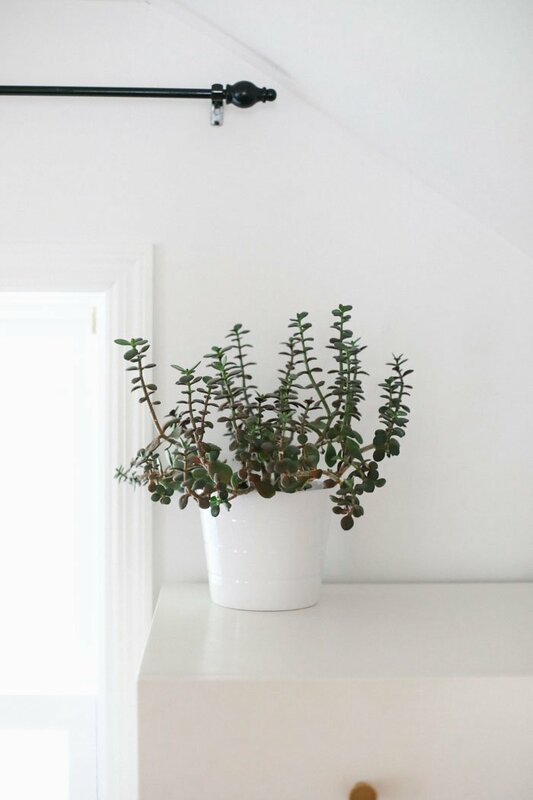 Learn more about jade plant care HERE and buy a jade plant online HERE. Do the finger check before watering. There can be suggestions to water your plant twice a month, but a good rule of thumb is checking the soil before watering. If the soil is still pretty moist when you stick your finger an inch or two in, I would hold off on watering until things feel dry. Morning sun vs. afternoon sun: morning sun is not as hot as afternoon sun. So if your plant is getting direct afternoon sun, you may burn the leaves. Root rot: root rot happens when water does not properly drain out of the bottom of your plant and when your plant is overwatered. The leaves will become dull in color or yellow. 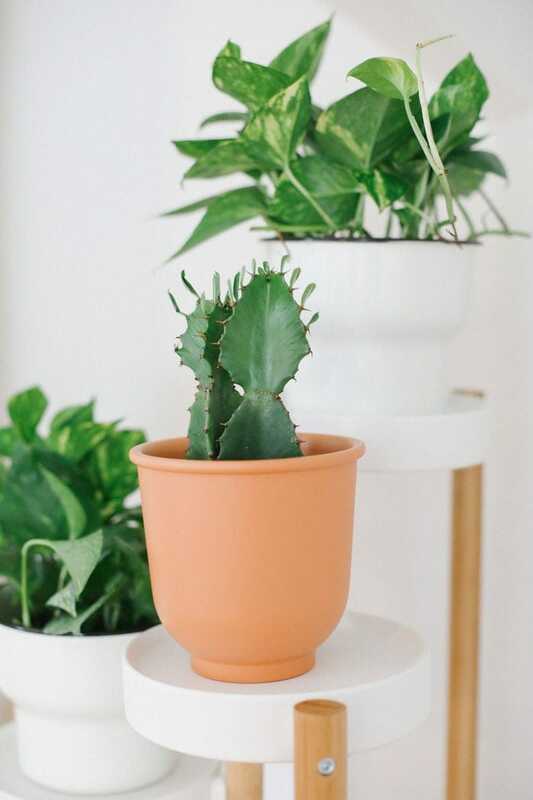 Make sure that you have a proper drainage system (like rocks) in the bottom of your pot OR make sure you’re removing your plant (it’s its plastic container) from your pot to water and drain properly. Keep your plants in their original container! I just learned this trick and it’s kept all my plants alive. When you buy a plant from the store, do NOT immediately repot it into the pot you bought. Simply place the plant in its plastic container into the pot and voila. No planting necessary. Whenever possible, I suggest buying your plants in person so that you can see the state of the plant you’re buying. How big is it? How healthy are the leaves? How big is the container? Etc. This also gives you a chance to be face to face with a plant expert and ask a million questions. The most success I’ve had buying indoor plants happens to be at local plant shops and greenhouses where plants are a bit more expensive. I feel like buying a houseplant is kind of like buying chicken breast. The higher-quality/organic chicken breast costs more, but it’s better for you and will likely last longer. When plants are taken care of from the beginning they will last longer and be higher-quality in general. I’m not knocking buying plants on Amazon or Ikea, because I have my fair share of these plants, but through experience, this is what I’ve found. Also, here are my answers to the most commonly asked plant questions! What plants are easy to take care of? All of the plants listed above are super easy plants to take care of. For the most part, they require low light and little water! what can you grow indoors? So much can be grown indoors. Take a look at my list above for the best indoor plants for beginners. are succulents good indoor plants? Yes, absolutely! They’re my #1 pick for new plant ladies. I highly suggest starting with a succulent as your first plant. First comes the plant, then comes the pot! I am like a pot hoarder. If I fall in love with a pot (which happens often), I buy it! Then, I find the perfect plant to fill it! 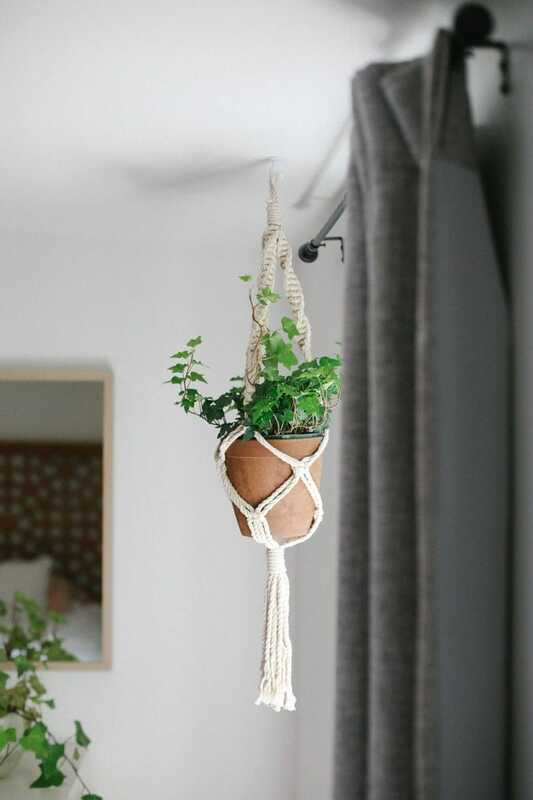 Here are some super simple, minimalistic pots, plant hangers, and macrame that I’m digging right now. 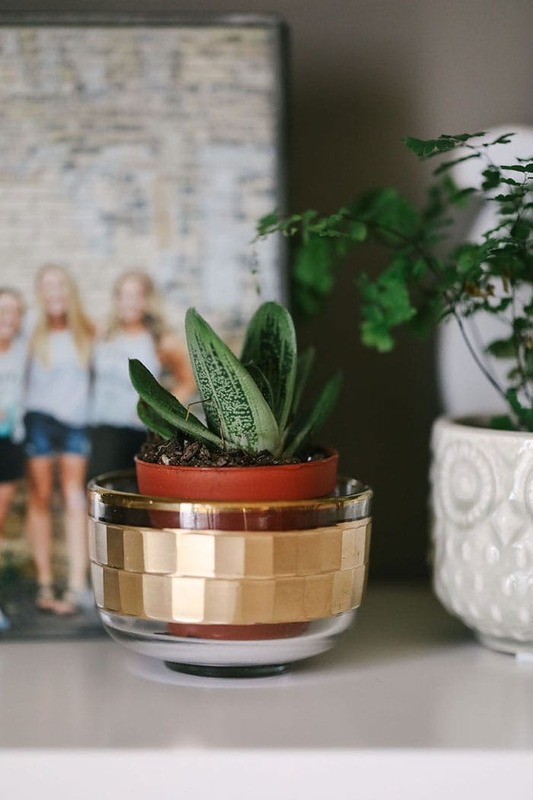 Because we’re always learning…read up from some other expert sites on indoor plants for newbies and how to keep your plants alive!